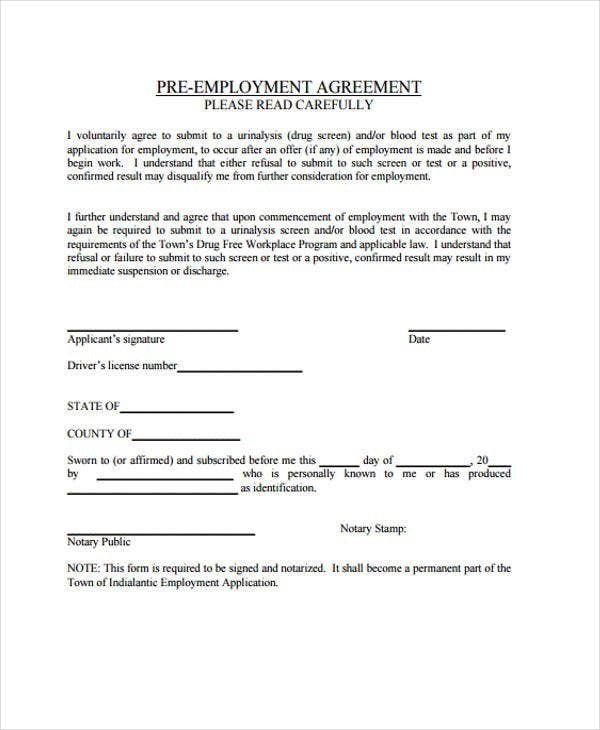 Once you’re hired by the business entity you have been applying for, you are to meet your employers to discuss the terms of your employment. 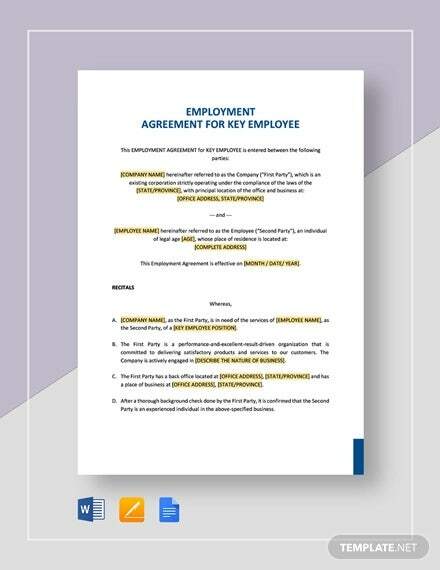 The terms and conditions of the employment, including compensation and work expectations, is stipulated usually on a written agreement known as an Employee Agreement. 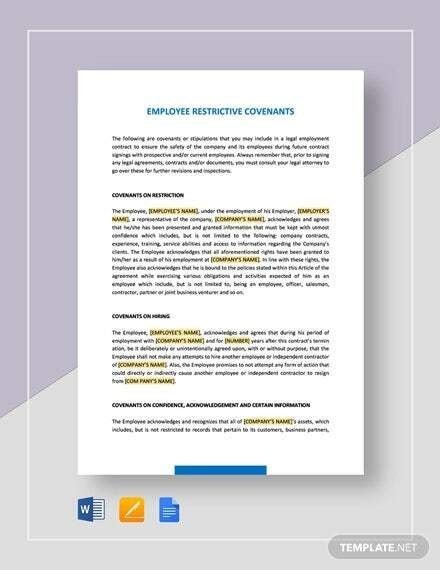 Some business entities like financial institutions often require their employees to sign a Confidentiality Agreement hindering the employee to disclose pertinent information of the business entity. 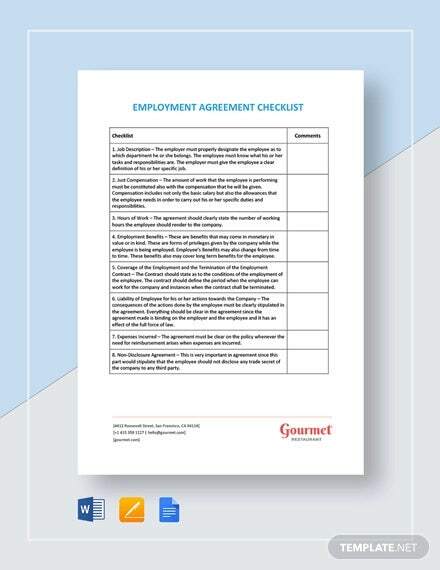 The following employment agreement samples downloadable in PDF format is your one stop in knowing what to expect when devising for an employee agreement. 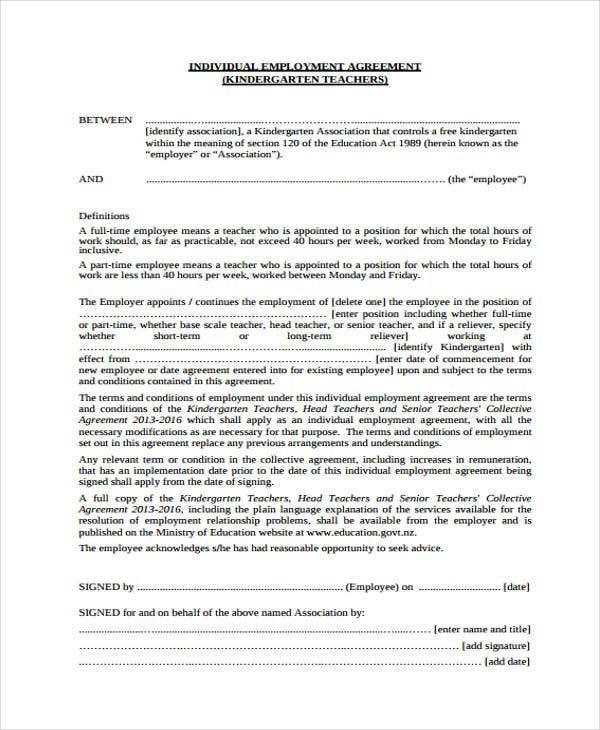 Collective Employment Agreement – This is a binding agreement negotiated by a number of unions, employers and employees. 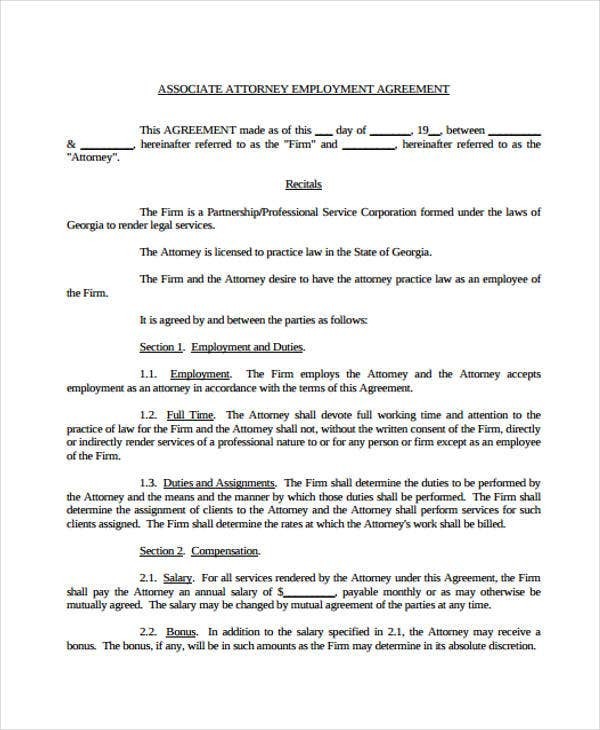 The employee can add individual terms if covered with this type of employment agreement. Individual Employment Agreement – Contrary to a collective employment agreement, this type of agreement is dealt with the employee and the employer only. 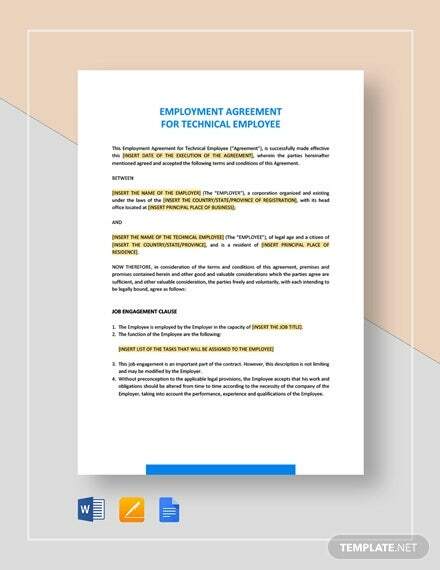 The terms and conditions are to be kept between these two parties and should follow the employment conditions set by the labor law as seen on most of the Basic Agreement Templates. 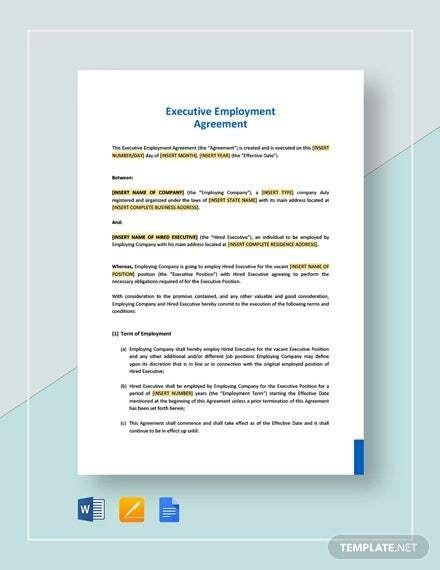 Clarity of Expectations – Having an employment agreement increases the understanding of the expectations of both the employer and the employee. 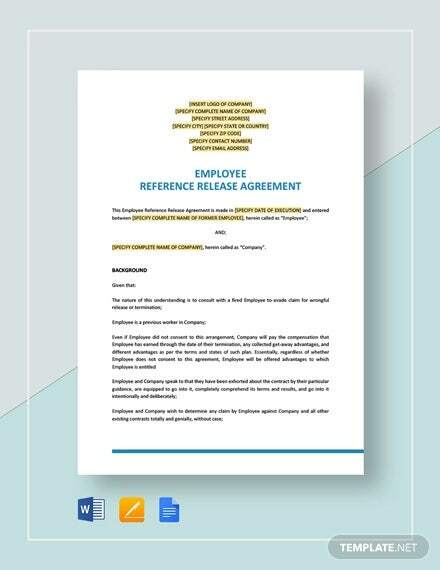 Since the agreement is a written document as shown on the free agreement templates, there will be no secrets as to the duties needed to be achieved by both the parties. 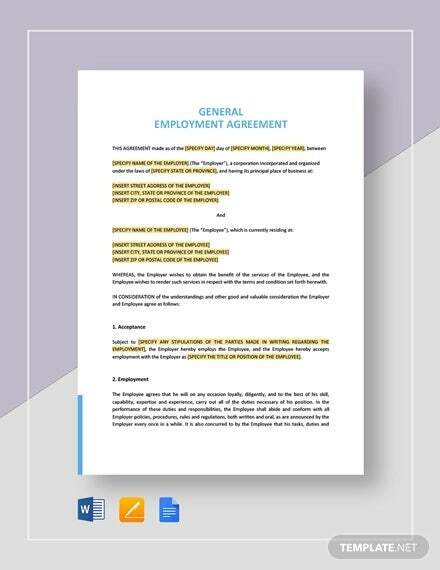 Definite Enforcement of Rights – An employee would see to it that the employment rights set by law are fully enforced on the agreement. 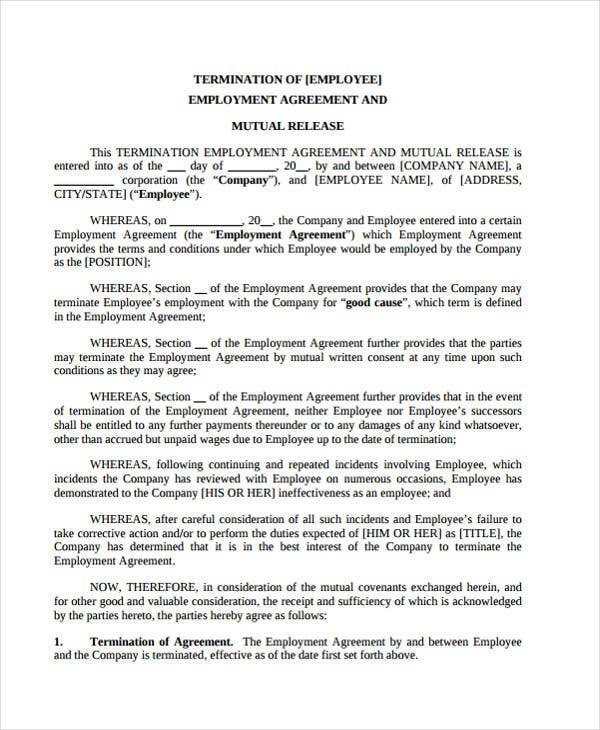 Rights that apply to the employee after termination of agreement as seen on sample Employment Separation Agreement Templates are to be indicated. 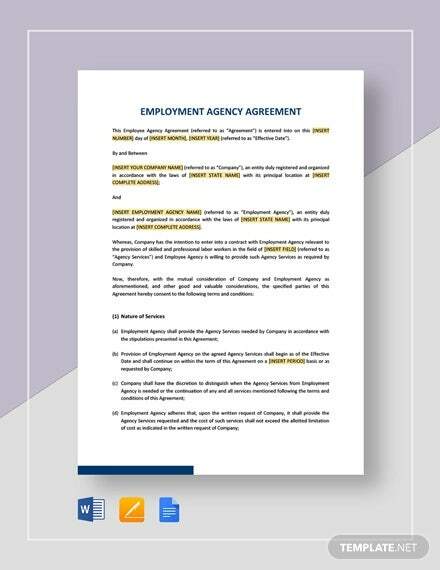 Job Information – The first information which should be present on any employment agreement is the job position itself. 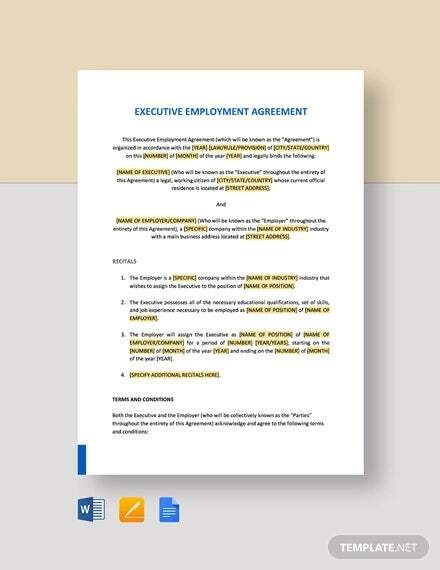 The job description must be defined in the agreement. 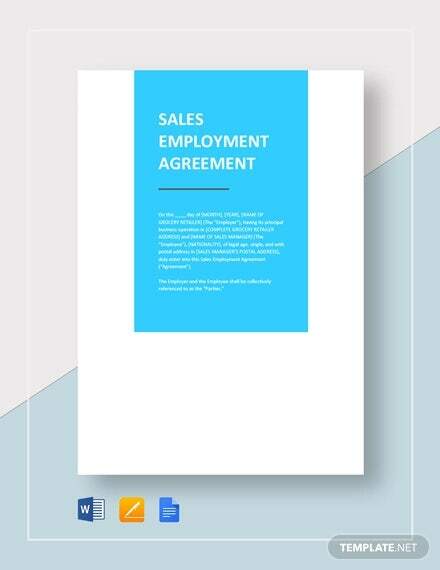 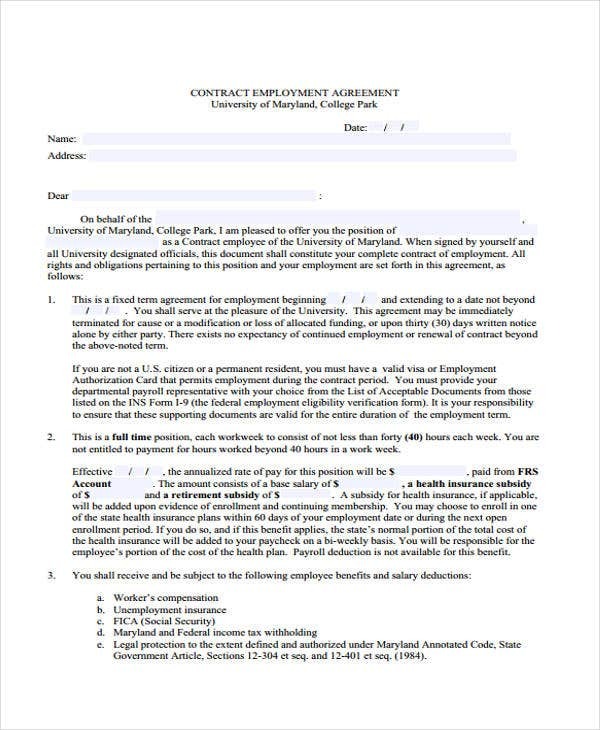 Agreement Templates in Word show various examples of job – related agreements having this information a priority. 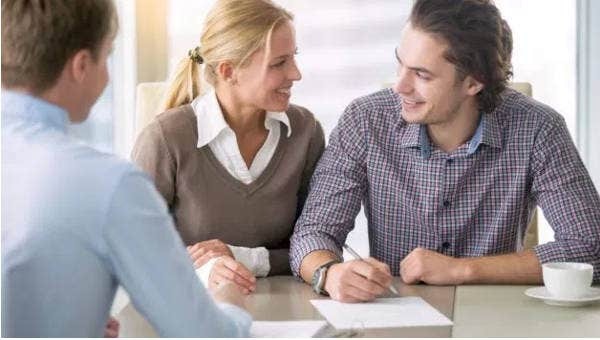 Compensation and Benefits Packages – The second most important information is the base salary you are going to be given for your work. 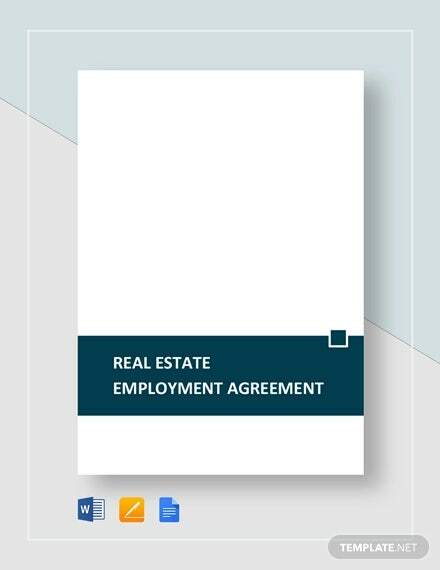 If there is a commission as in the case of sales related jobs, stipulations of when it is paid and how it is calculated must be specified. 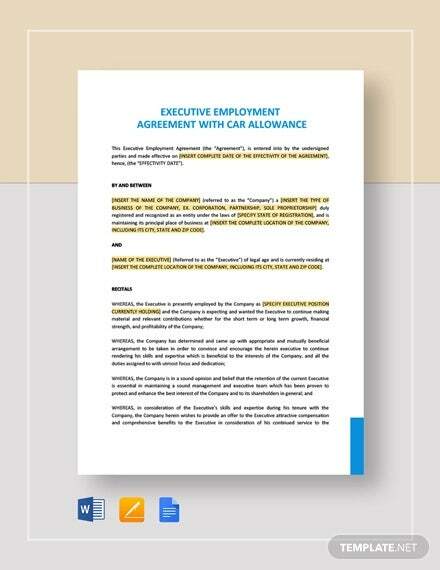 As for the benefits, the details of which must be noted on the agreement. 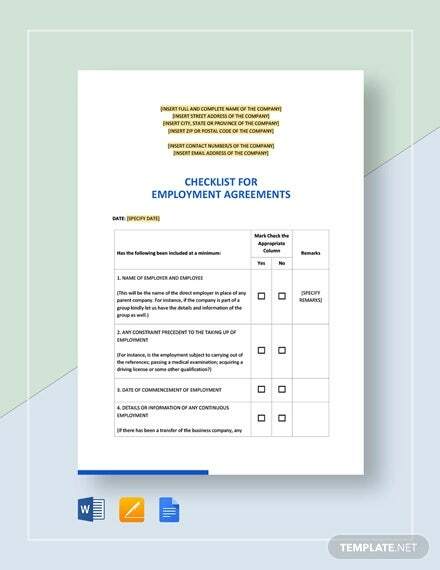 Other Required Obligations – Some companies have other requirements following standard operating procedures of the entity. 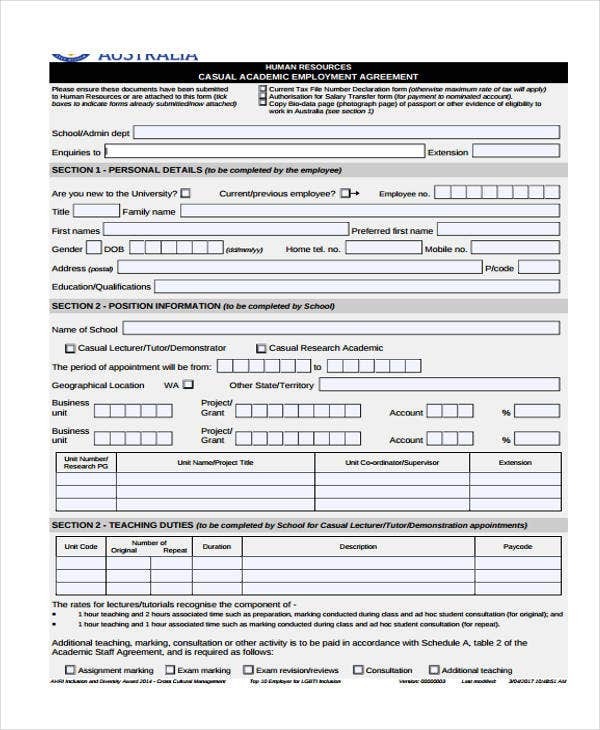 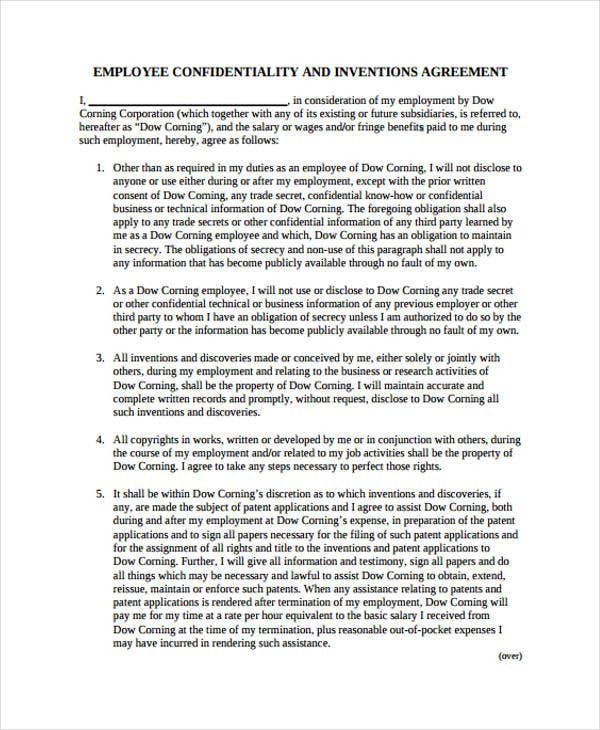 Take for example a human resource job must agree to confidentiality agreements such as the example Human Resources Confidentiality Agreement Templates on this website. 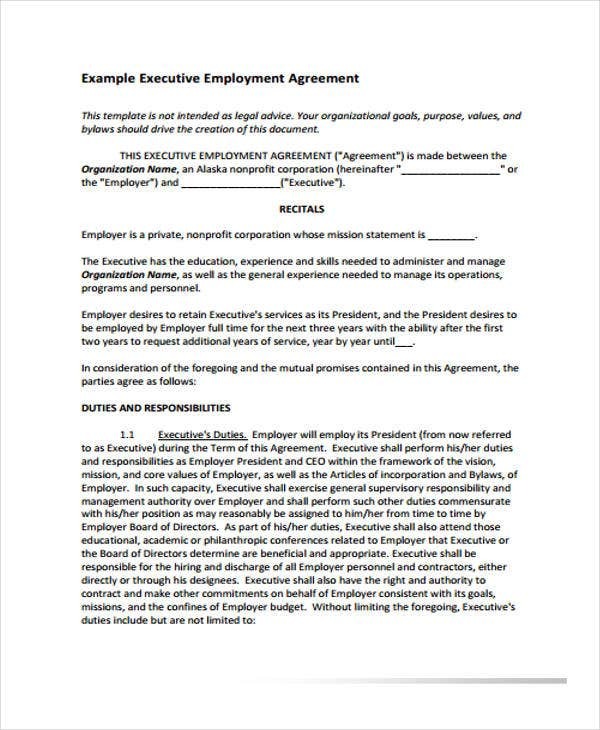 Indeed, this agreement is an employee’s hold that he or she is part of a certain business entity and is his or her protection from unforeseen situations.